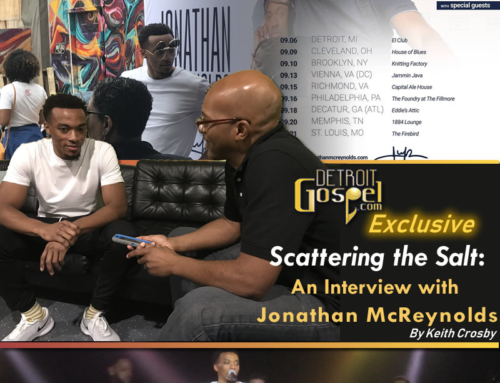 One of the first interviews that Detroit Gospel.com conducted was with four young ladies from Saginaw, MI, that go by the name of RiZen. It was a cold evening in February 2004, that Detroit Gospel.com first met Aundrea, Adriann, Kanika and Ashley behind the scenes of the “Experience New Life Tour” when it hit Detroit’s Greater Grace Temple. The ladies were fresh off their Stellar Award win for New Artist of The Year and sharing their unique neo-traditional style across the country. Much has changed since that time, but one thing remains the same, RiZen remains one of the hottest gospel groups around. We caught up with three of the ladies again to see how life has changed for them and to talk about their upcoming release, RiZen 2. 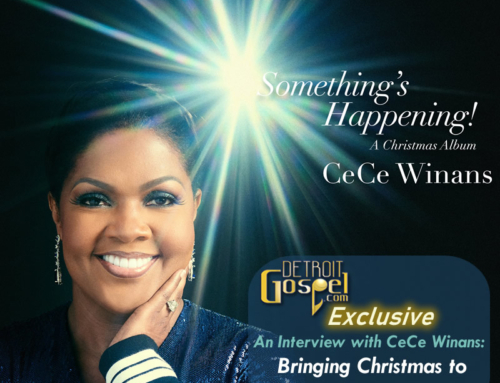 Detroit Gospel.com: Back in February 2004, shortly after RiZen won the 2004 Stellar Award for New Artist of The Year, Detroit Gospel.com had the pleaser of interviewing you at Greater Grace Temple in Detroit. How has life changed for you since that time? Adriann: Life has been a total 360. We are constantly on the move; constantly on the move. Yes, we have really been traveling this past year and God has really been good to us. Kanika: Life has just been, you know, an up hill journey. God has just elevated us in so many different ways, since we last saw you in February of 2004. We have since gone to Italy last Christmas and we did a ten city tour there over the holidays and we recently finished doing the “Sisters in the Spirit Tour” with Yolanda Adams, Martha Munizzi, Sheila E., Kelley Price and prophetess Juanita Bynum. So, it has just been an awesome journey. DG.com: Do you believe that God has been trying to teach you something through all of this, this past year, and if so what do you believe you’ve learned from it? Aundrea: God has really taught us about being on the road and trying to balance our spiritual life, as well as home at the same time. So, one thing for me to have learned is how to be patient and how to endure many obstacles that come with the ministry. How to handle different people, different attitudes and just different environments. So, He has taught me how to keep calm and to keep peace, and know that He’s taking me through each situation. Adriann: I agree with Aundrea; patience and He’s really been teaching us long suffering and how to maintain our humbleness. You know, because you really have to be humble when you are serving God. So, He’s teaching us how to be humble every day and how to summit to Him and His will. DG.com: Tell us about the new album “RiZen II.” How is it similar to or different from “RiZen,” and what can we expect from it? Adriann: Well, “RiZen II” is really exactly what “RiZen” was before. We didn’t change anything. We’re going to give you the praise and worship, give you the contemporary, the traditional. We even have another ballad on there, and our fans were just so pleased with “RiZen” that we didn’t what to do any dramatic changes with “RiZen II.” So, the only thing is that RiZen is taking it to another dimension. It’s just wonderful. I mean, everyone is singing on this project so it’s just wonderful for us to be able to experience and give our fans all of us on this CD. Aundrea: This album has a lot more energy. From the music, from us, we just poured our hearts and our spirits into this new project. So you will feel much more love, more power, more excitement from us because we have really worked with the best musicians, along with Sanchez, and my brother, Ay’Ron again. So we had a whole different team this time, so everything you felt with the first CD, we want to take it to another notch. So it’s going to be very powerful. DG.com: Is Ashley still in the group with you? Adriann: Ashley’s with us but she’s not going out with us. Because her mother is really ill and her decision was to stay home and take care of her mom. So, that’s what Ashley is doing right now. We want everybody to keep her mother in prayer and keep Ashley in prayer. You know, that she makes the right decisions according to her mother’s medical condition. So just pray for her. DG.com: Is Ashley singing on the new CD with you? RiZen: No, she’s not, because we did the CD right before we were coming back from Italy. So in December, when we went to Italy, that was Ashley’s last appearance. DG.com: Where was this CD recorded? RiZen: It was recorded in Flint, MI. DG.com: At your home church? Is it a live performance? RiZen: It wasn’t at our home church, it was at New Jerusalem Gospel Baptist Church. It was a live performance. DG.com: Is there a DVD that will come out as well? RiZen: We’re trying to work on it, the DVD. We’re working on it now. DG.com: What is playing in each of your CD players right now? Aundrea: I’m listening to Donald Lawrence,”Speak Life.” So that’s what’s really banging in my CD. Kanika: Deitrick Haddon, “Crossroads.” My kids love this CD; they’ve been listening to it for the past few days. So that’s what’s in my CD player. DG.com: So when can Detroiters expect to see you again? Do you have a tour schedule set up? DG.com: Any closing words for your fans? RiZen: Go pick up the CD May 17! We just thank God because now we’re going to be everywhere from Target to Wal-Mart. Some people said they’d seen the last CD at Walgreen’s. We’re going to be everywhere this time. DG.com: Any other things you want to say before you go? RiZen: Just to please keep us in your prayers and just keep on supporting us because we love Detroit.